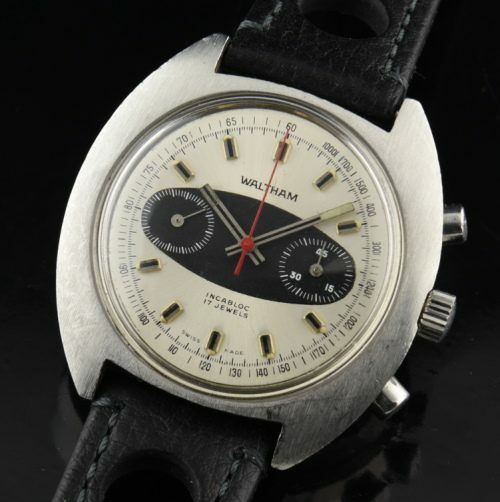 Here is a 1969 WALTHAM chronograph with a great looking “surfboard” original two-tone dial with baton hands and markers accented with red sweep seconds. The stainless steel screw-back case has its original finish and looks great. The manual winding Valjoux 7733 movement is accurate after a recent cleaning and the chronograph function is working perfectly. 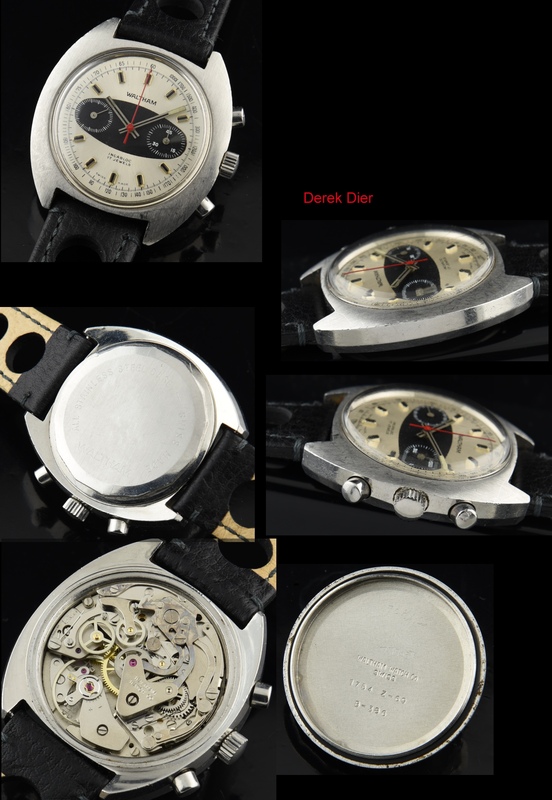 These fine and affordable SWISS chronographs are the NEXT watches to increase in value (in my opinion). Obtain them inexpensively while you can.